Joe Howlett was killed on Monday during a whale rescue off the coast of New Brunswick. 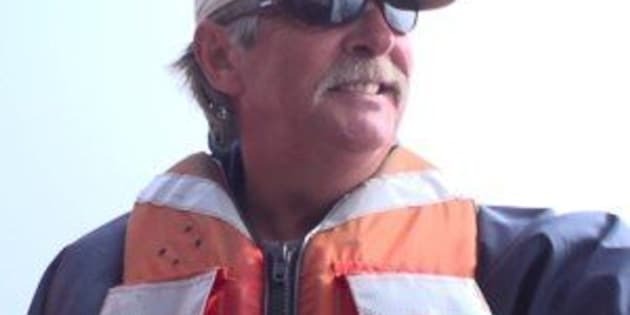 A Canadian lobster fisherman who spent more than a decade rescuing whales from nets was tragically killed just moments after disentangling one, his colleagues said. Joe Howlett, 59, who co-founded the Campobello Whale Rescue Team, was performing the rescue in New Brunswick’s Gulf of St. Lawrence on Monday when the North Atlantic right whale made an unexpected move that killed him, CBC News reported. Conway did not go into detail about what happened but said rescuers face many dangers, including getting tangled in rope or being tipped or dragged overboard. “You’re dealing with a 70-ton whale that’s very upset,” Conway said. Howlett was freeing a North Atlantic right whale, a similar one pictured, when he was killed. Capt. Mackie Greene, the head of the whale rescue group, who was not on the boat at the time, described it as a kind of “freak” accident. “They got the whale totally disentangled and then some kind of freak thing happened and the whale made a big flip,” he told The Canada Press. The whale ultimately survived, and was later seen swimming gear-free, the International Fund for Animal Welfare said in a statement. Canada’s Minister of Fisheries, Oceans and the Canadian Coast Guard stressed the “immense bravery” and passion required by whale rescuers. “There are serious risks involved with any disentanglement attempt. Each situation is unique, and entangled whales can be unpredictable,” said Minister Dominic LeBlanc in a statement.